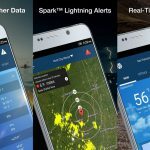 Get all your weather information with The Weather Channel for iPad, which has received a big design update that adds lots of new HD photos to the app. It leads today’s Fresh Apps list, and is followed by AppAdvice, an app that’s great for finding even more apps. AppAdvice is also on sale for the weekend, cutting its $1.99 asking price down to free. Mage Gauntlet, an action-adventure game that takes its cues from classics like The Legend of Zelda, will keep you busy this weekend, as will Camp Magic, a casual social game that’s a lot like FarmVille for wizards. The Weather Channel’s iPad app has been around since the first days of the iPad, and now the app has received a big redesign. 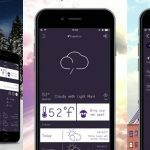 It includes all the regional and local weather information the app has always cotanined, plus a whole new interface and iOS 5 compatibility, with new backgrounds that show off your local weather conditions. The app now also includes HD weather photos and full-screen weather maps that can be customized by users. You can also see weather news coverage and user photos, as well as read tweets that come from experts. There’s a ton of useful information available in the app to help you plan for all kinds of weather conditions. The mobile app bringing all kinds of information, news and stories from AppAdvice.com has gone free for the weekend. It’s a direct pipeline to all the content on AppAdvice, which is great if you’re looking to learn about more apps and the news surrounding them. The app is also excellent for learning about what apps are on sale in the iTunes App Store. 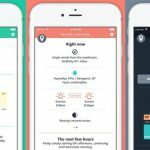 AppAdvice is filled with thousands of app reviews, as well as guides that rank competing apps against one another and lists of apps for various occasions. 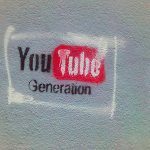 You can also find out what apps are updated each day, which ones are new and see up-and-coming apps that are great, but still relatively unknown. A Legend of Zelda-like action role-playing game, Mage Gauntlet puts players into a magical world in which you play a character commanding sword and sorcery as you fight through 84 different levels of dungeon crawling action. You’ll pound through lots of different enemies with various powers and moves, like a dash move and the ability to charge-up powerful sword strikes. There’s a whole lot of content on offer in Mage Gauntlet, like 110 hats that you can unlock or purchase that offer various bonuses and effects to your wizard character. You can also unlock 19 different pets that also affect your abilities. Mage Gauntlet includes Game Center support that provides 86 achievements for your gameplay enjoyment. A casual game along the lines of titles like FarmVille, Camp Magic has you constructing your own magic camp, bringing in students, harvesting magic items and creating the best camp operation you can. The bigger and better your academy becomes, the more students you can draw and the better you’ll be able to fight off evil enemies. You can connect your Camp Magic game to Facebook and Twitter, where you can invite other friends to play and cooperate by visiting one another’s academies and helping each other out. You’ll have to manage all the aspects of your academy, and you can even brew up potions that have various effects.